The Wrangler Rebate is back! 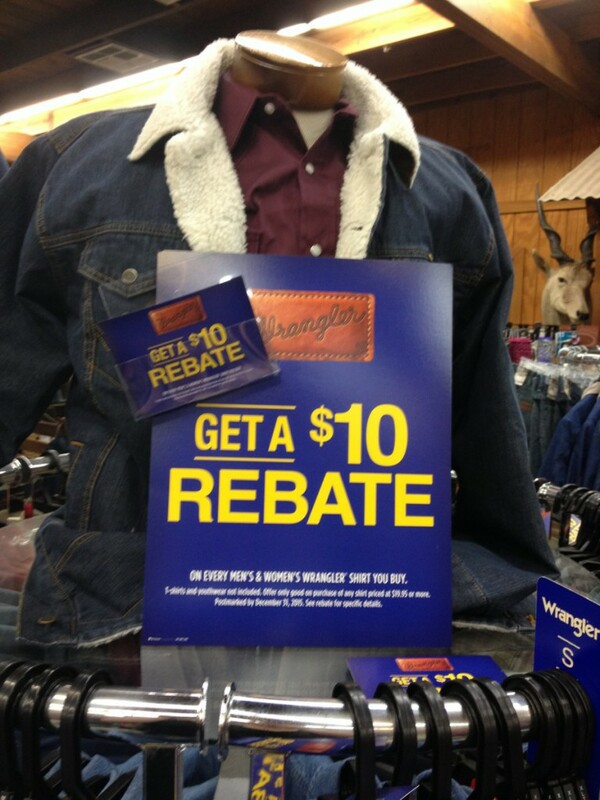 Lochte Feed and General Store offers a $10 Wrangler Rebate off Men’s or Women’s shirts of $19.95 or more. T-shirts and youth shirts are not included. This offer is only good on purchase of shirts $19.95 or more. Come by for this great deal during the month of February 2017. Lochte Feed and General Store in Fredericksburg, TX offers a huge selection of mens, women’s and children’s clothing and boots. Get ready for the rodeo and livestock shows this season with a new look. This entry was posted on Tuesday, February 7th, 2017 at 9:28 am	and is filed under Events, News & Updates. You can follow any responses to this entry through the RSS 2.0 feed. Both comments and pings are currently closed.